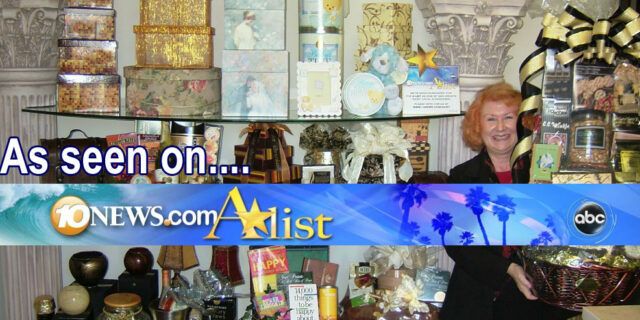 Home » Gift Baskets » The Best To You Voted Best Gift Shop In San Diego! The Best To You Voted Best Gift Shop In San Diego! The results are in for the Best Of 10news.com A-List Contest! The Best To came in First Place out of 45 competing gift shops and gift basket companies. The Best To You received over two hundred written testimonials and hundreds of votes during the contest from our valued clients, fans and friends. We are very grateful to all who supported us in the contest! The Service Was Superb! The quality of the gifts were excellent, and we appreciate the effort that went into making each gift special for our new homeowners! From Tuesday S.
Although we have used The Best To You for years, they never fail to have unique gift baskets and products. Our clients always comment on the high quality gift baskets they receive. I never have to worry – The Best To You always makes me look good! Terie T.
The Best To You makes the most beautiful baskets, the presentation is always breathtaking. “Wow!” is the first thing you hear when their baskets are delivered. I have used this company for over 10 years and the service is always outstanding, whether it is one unique basket or a corporate year end gift program of hundreds of baskets…they are the best. Tish D.